The Ava DuVernay-directed Martin Luther King, Jr. film, Selma, has been in development for close to a year now and the cast is just now being rounded out. 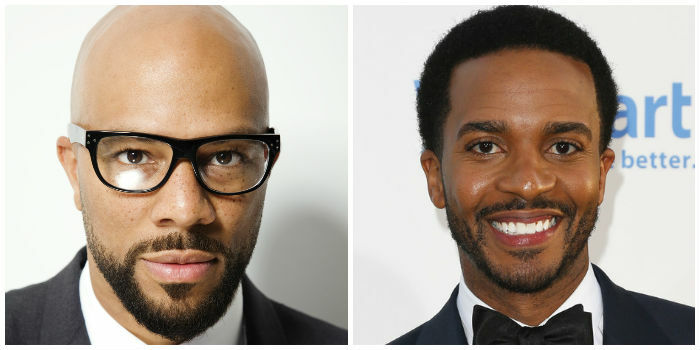 David Oyelowo has already been announced for the role as King, Jr. but now Common will play James Bevel and Andre Holland will play Andrew Young. James Bevel was a civil rights leader and activists who led and organized major protests behind the 1963 Birmingham Children’s Crusade, the 1965 Selma Voting Rights Movement and the 1966 Chicago Open House Movement. The film Selma is based on the 1965 Selma to Montgomery marches which Bevel initiated. Andrew Young was a close friend and confidant of King, Jr. he also acted as mediator between Black and white communities during the Selma events in the 1960s. Both Oprah and Brad Pitt are producing this film. No word on a target date of release.